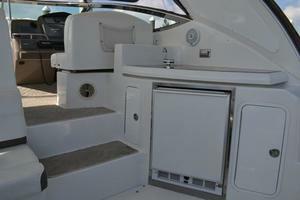 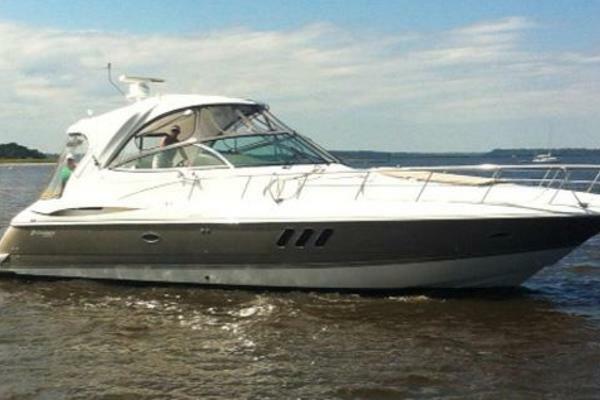 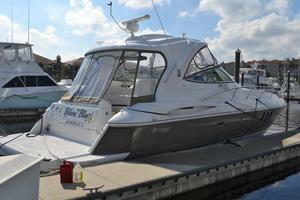 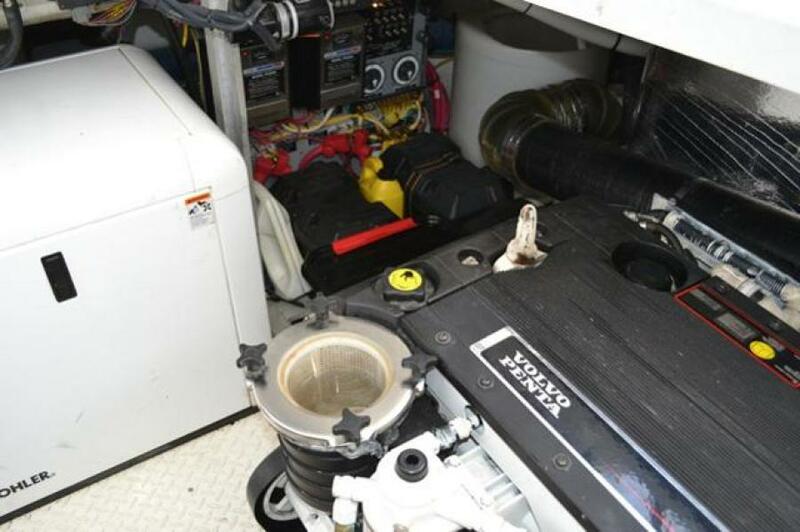 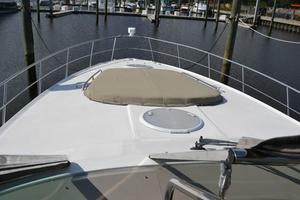 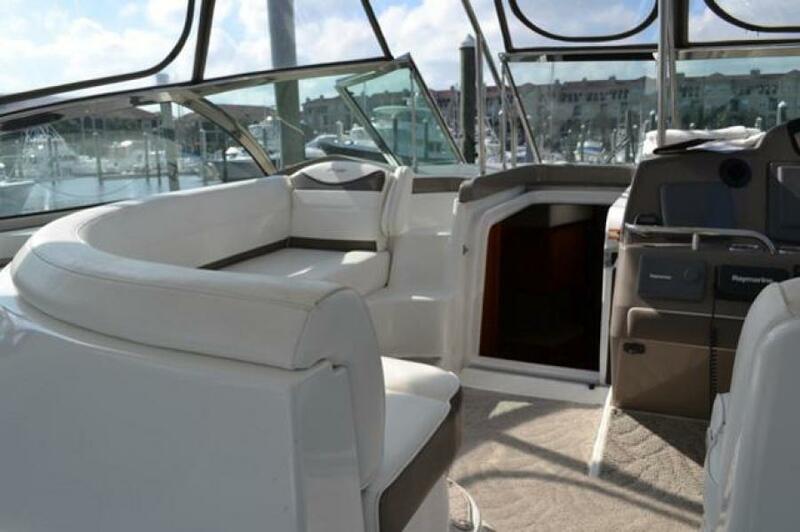 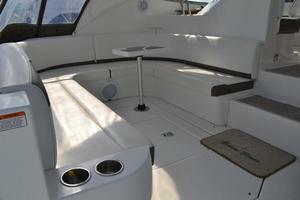 This 2008 46’ Cruisers has been maintained by a meticulous original owner. 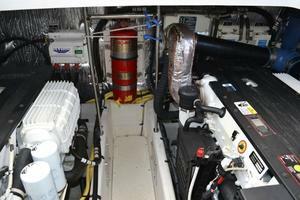 She is powered with NEW Volvo D-6 diesels with four year warranty (very quiet and efficient). 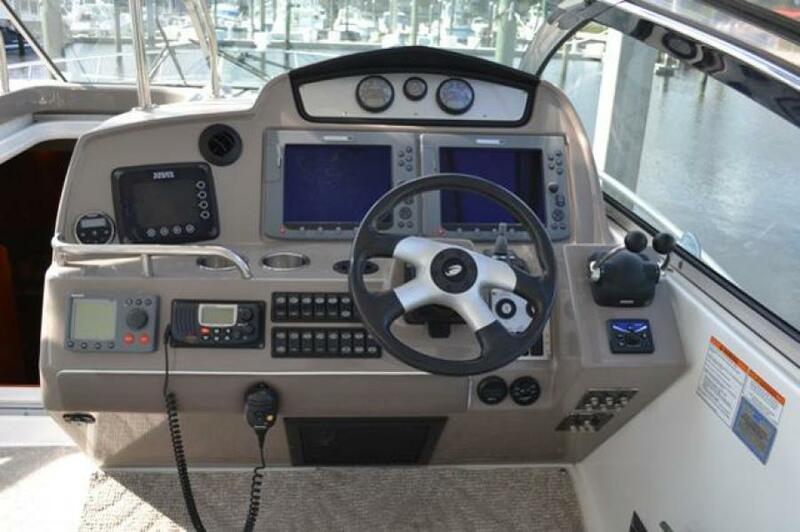 It is well equipped to include Raymarine electronics, cockpit AC/heat, Bow thruster, (4) flat screen TVs, washer/dryer and lots more. 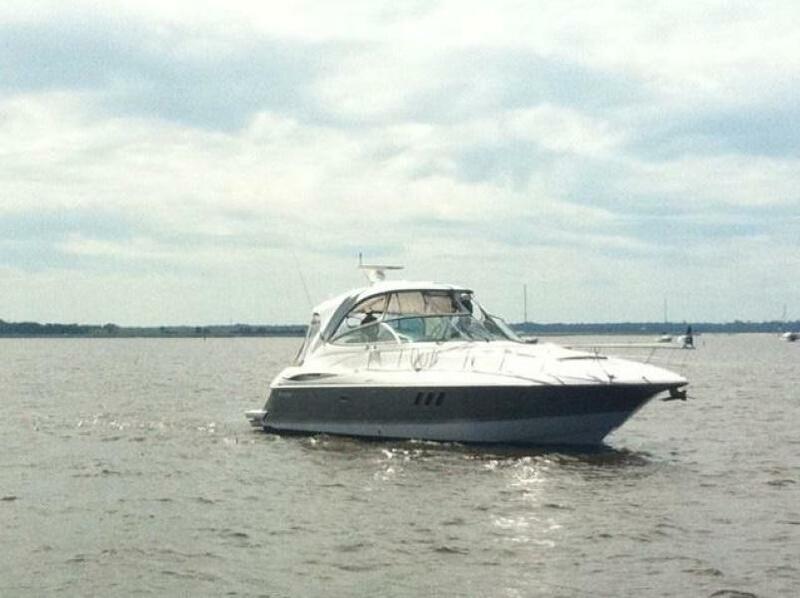 This boat is perfect and ready to go another 10 years. 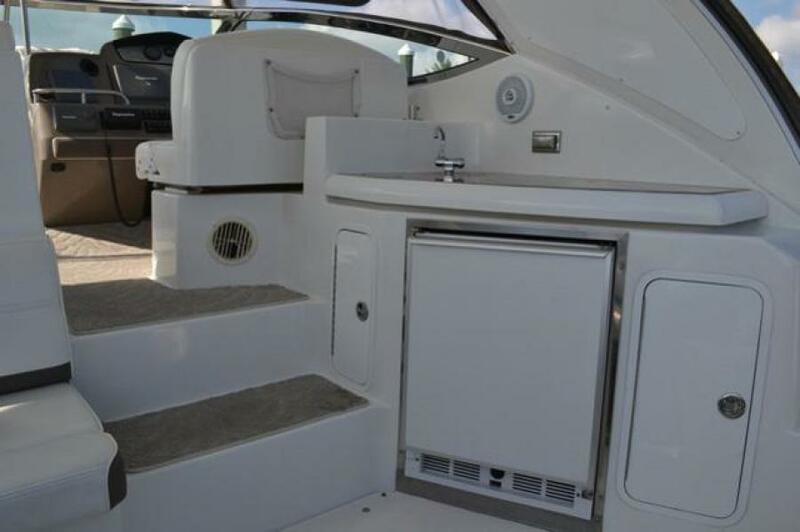 Boat is loaded with every option. 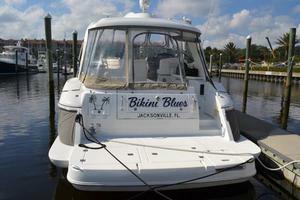 Owner is moving to a larger boat. 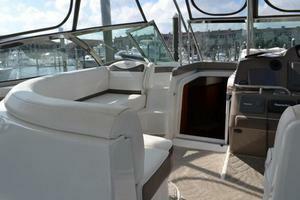 West Florida Yachts would love to guide you through a personal showing of this 46' Cruisers Yachts 46 Express 2008. 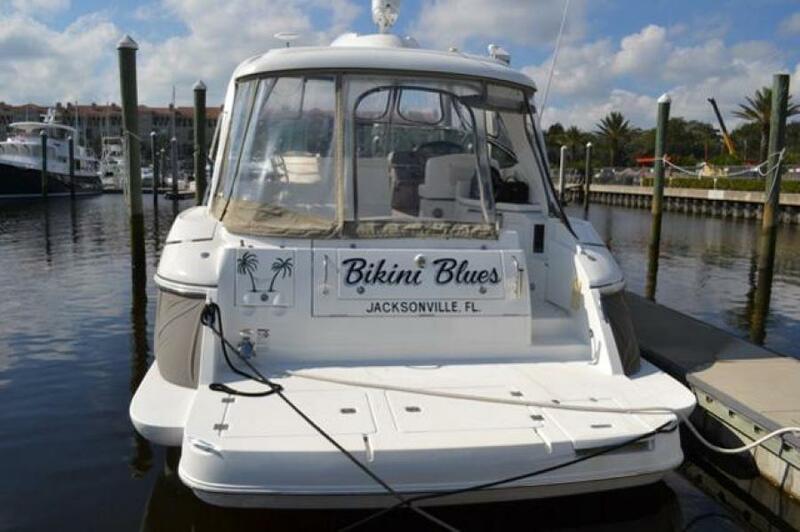 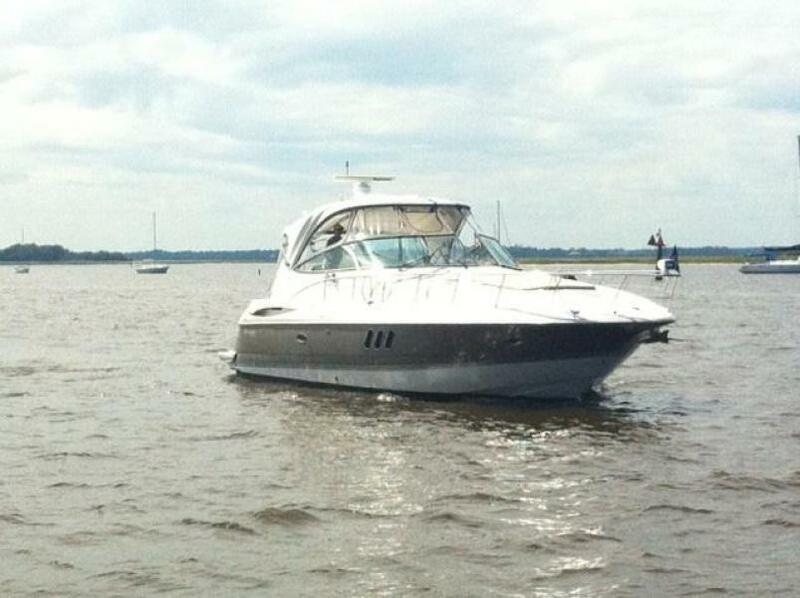 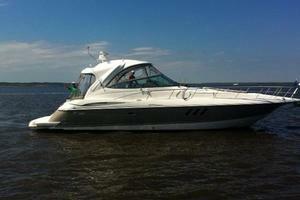 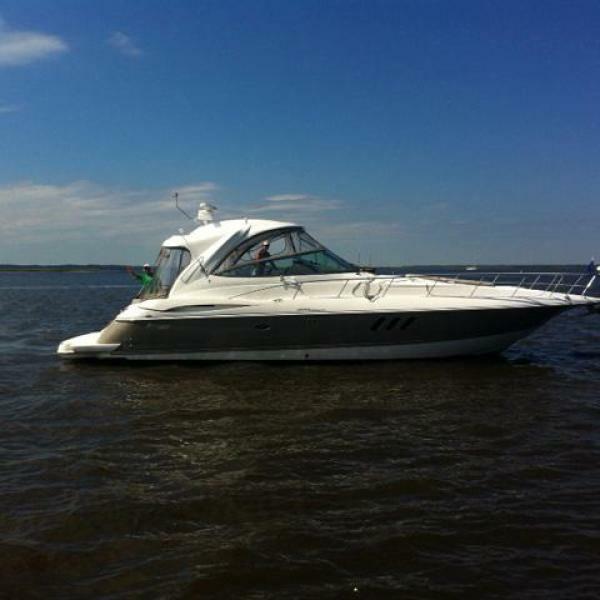 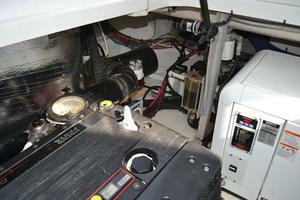 This yacht for sale is located in Jacksonville, Florida and priced at $319,900. For a showing please contact us by filling out the form on this page and we will get back to you shortly! 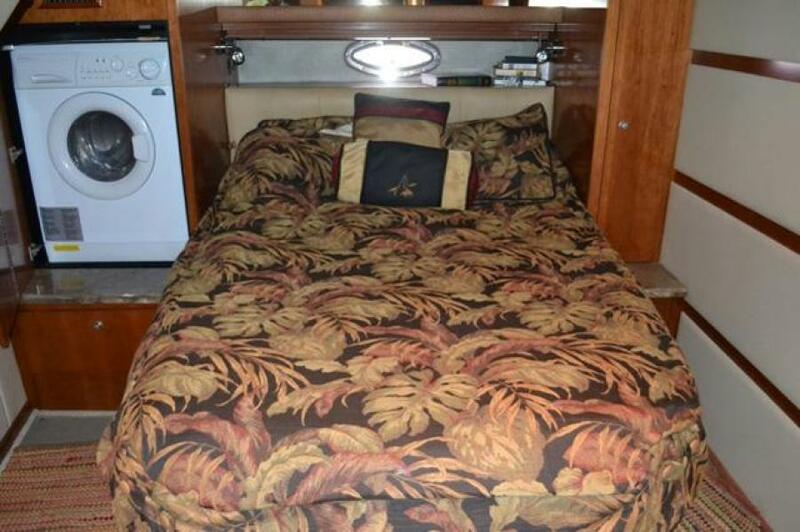 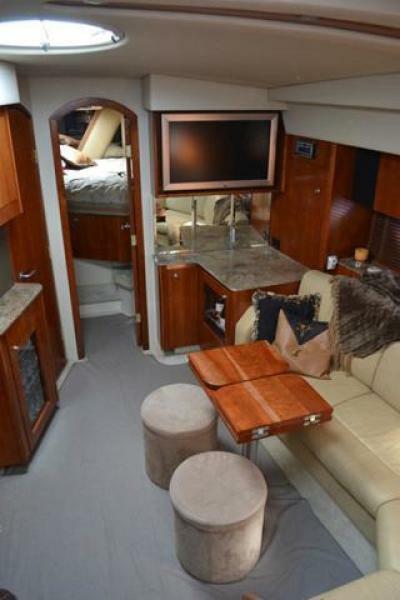 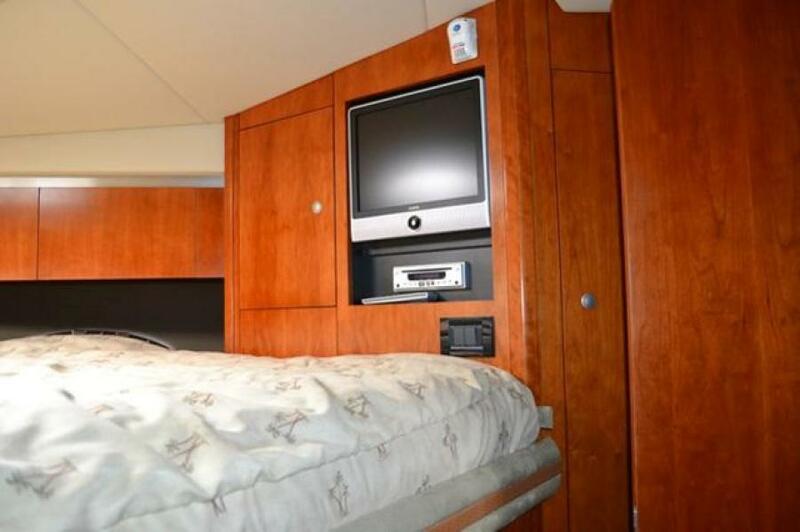 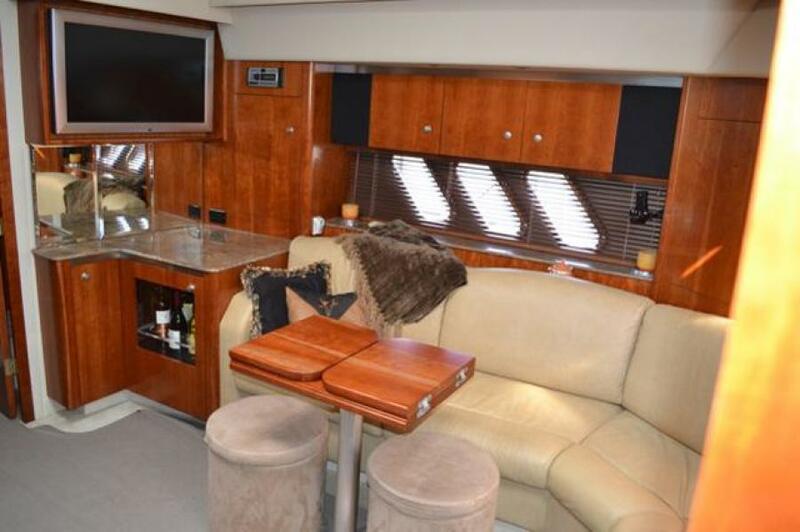 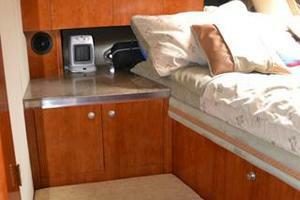 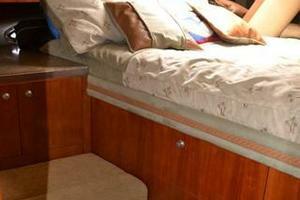 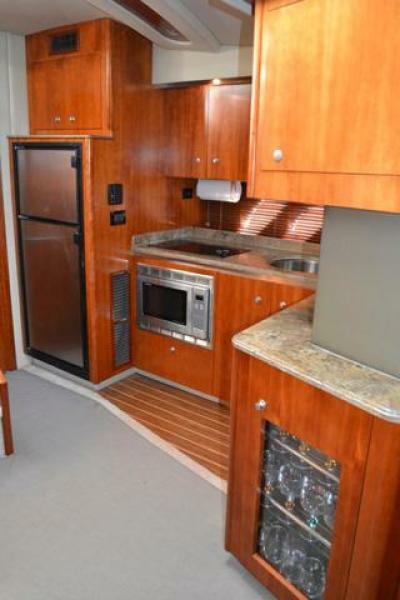 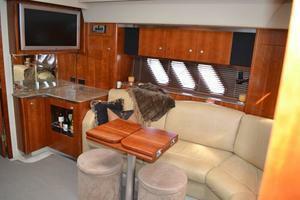 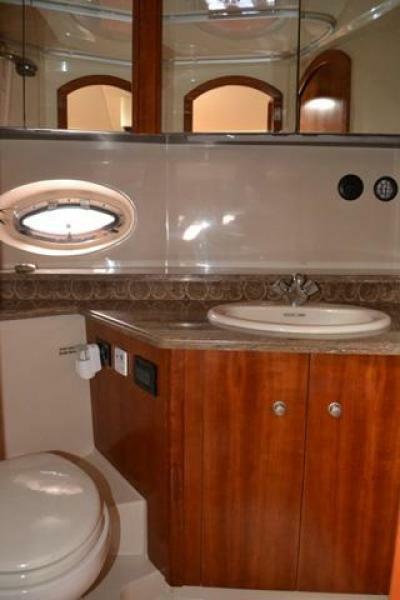 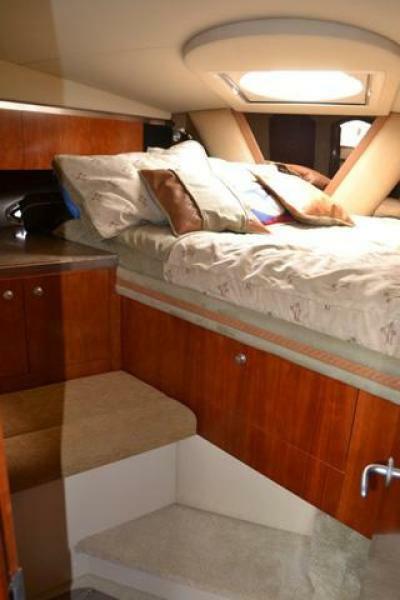 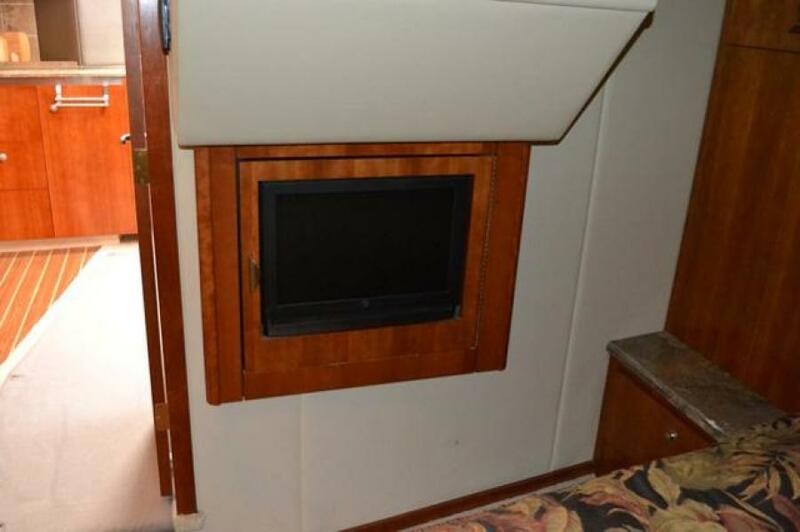 The 46’ Cruisers has a great two stateroom / two head layout. 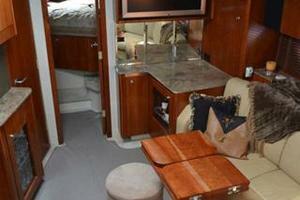 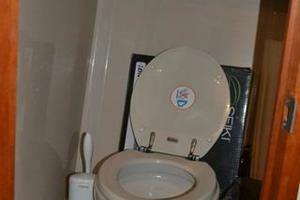 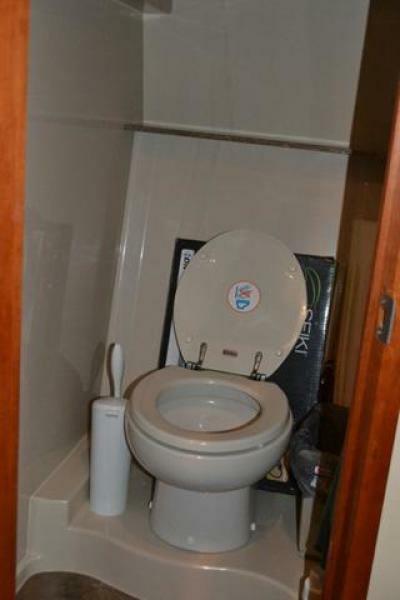 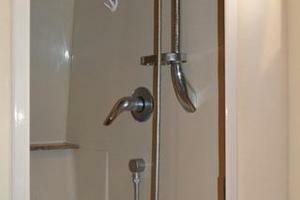 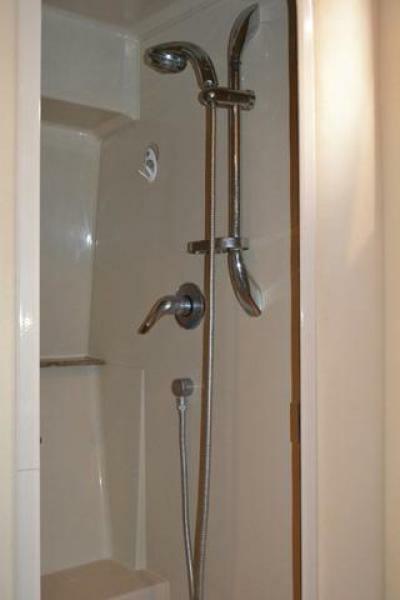 The master is totally private and located mid ship with private entrance. 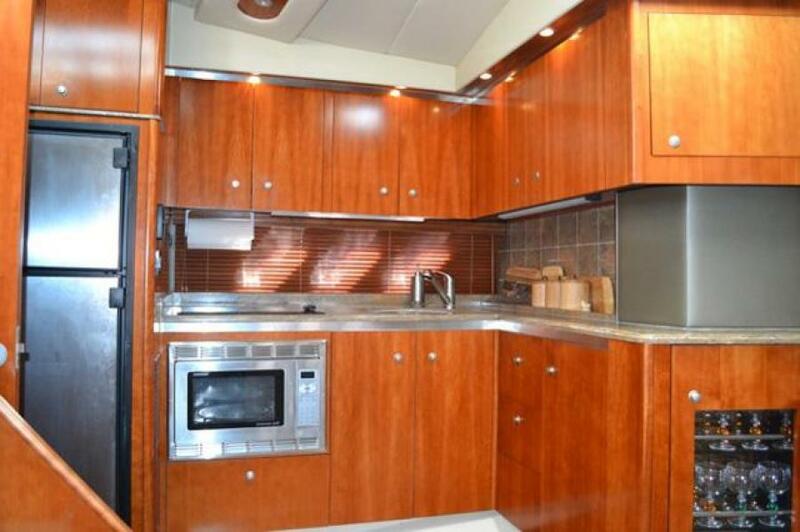 Galley is spacious and has all the amenities to prepare your favorite meal. 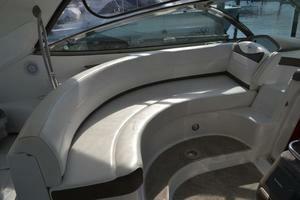 Salon has a large seating area with a table. 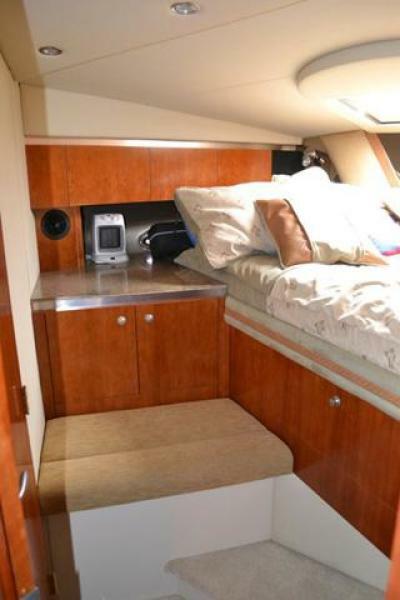 Lots of headroom! 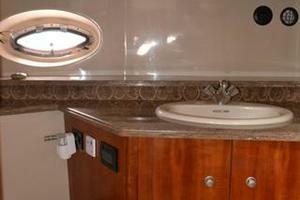 The salon features cherry wood cabinetry throughout the interior. 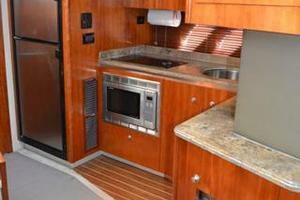 The Galley is L-shaped and open layout. 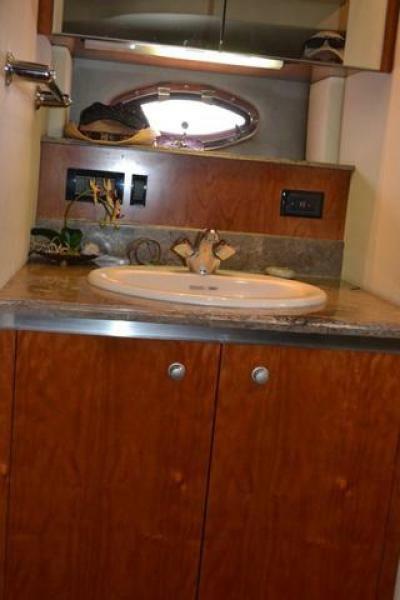 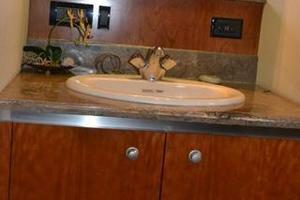 It features solid surface countertops and cherry wood cabinetry with lots of storage above and below. 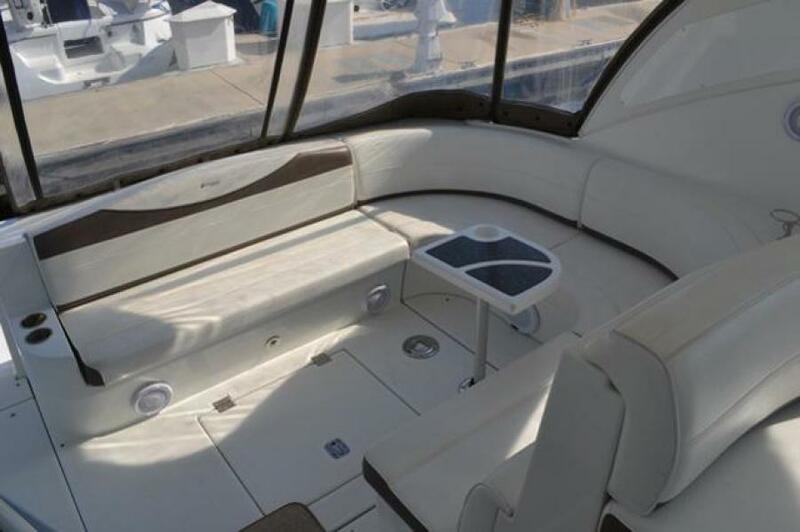 The hardtop offers protection from the sun and the unique enclosure design makes the entire cockpit usable regardless of the weather conditions. Her walkthrough windshield is one of the nicest features, safe and much easier to access the bow at anchor and underway. 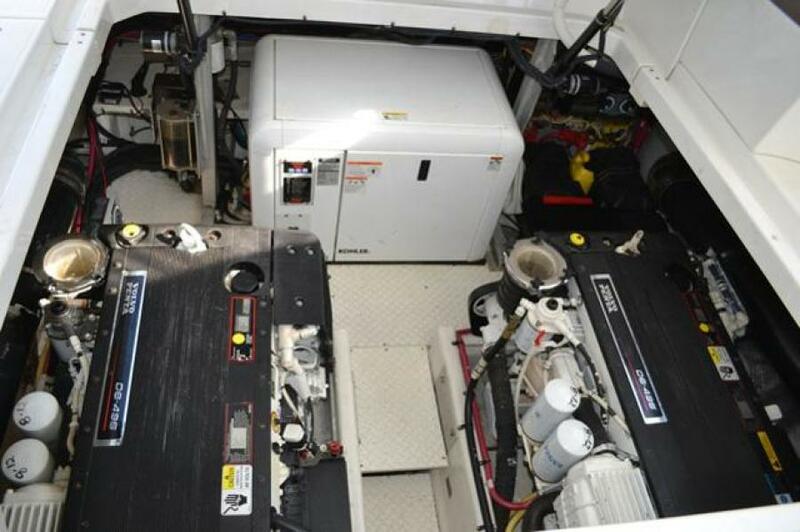 She is also equipped with AC/Heat for all climate conditions. 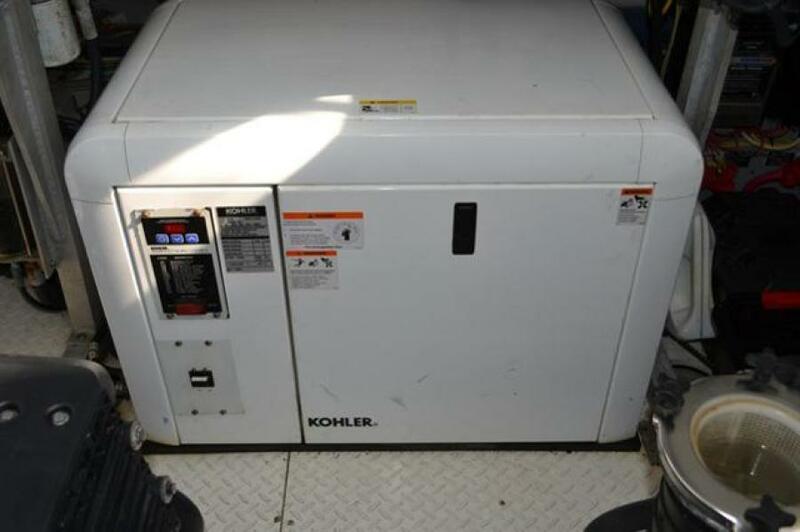 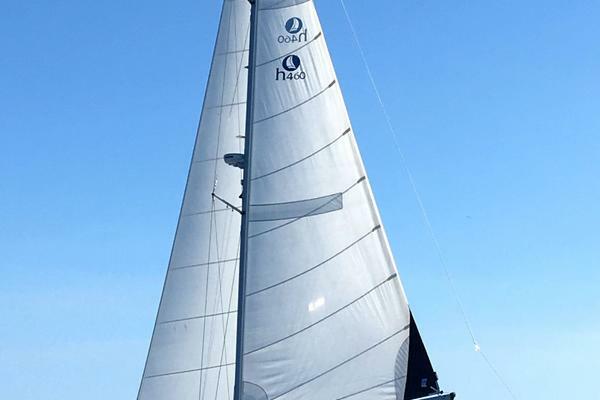 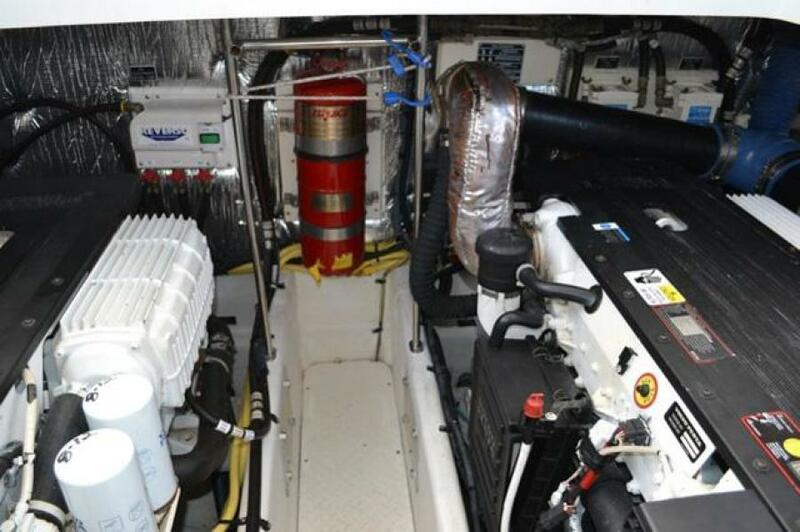 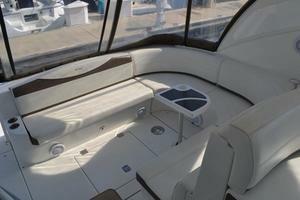 This vessel has the desirable engine package which is fast, quiet and reliable.